Firstly, Oculus will launch in spring 2019 this virtual reality headset. It is not a total novelty. Known until then under the code name Santa Cruz, it was presented in 2016. 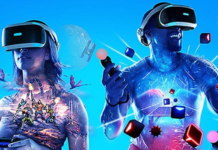 Today, with the announcement of its commercialization, it wins a title, Oculus Quest, and a price, 399 $ (and probably 399 € in France). If it separates from its cables by winning an integrated battery, the Quest is also autonomous in its positioning. Unlike HTC Vive, it no longer needs external sensors to position itself in space. It comes with two controllers and no longer requires a cable or powerful PC to generate virtual reality. It uses a new Oculus Insight technology of tracking inside-out thanks to its front camera that avoids the installation of external sensors for positioning in the playground. 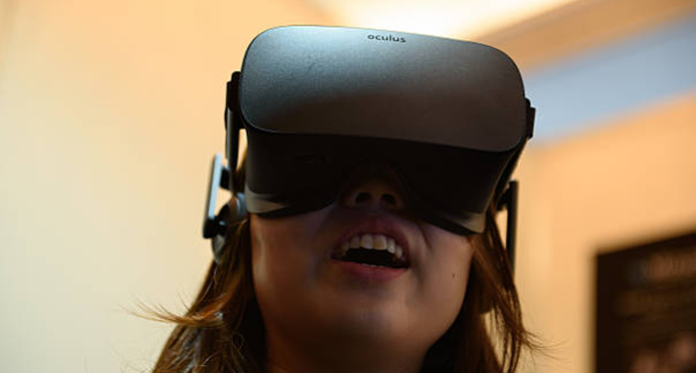 Instead, Oculus uses its new Insight technology that leverages the camera’s front camera. Where the Valve model requires almost a dedicated room to have its four sensors, the Quest can be used in a lambda environment (with a little free space anyway). It will be delivered with two Oculus Touch controllers, already available for the Oculus Rift. Side display, the Quest has a definition of 1600 x 1440 pixels per eye, a complete description of 3200 x 1440 pixels. Earphones are no longer needed. Like the Oculus Go, the Quest has its system. For its positioning on the market, it is placed between the Go and the Rift. A nomadic model that accesses more advanced capabilities than the Oculus Go. 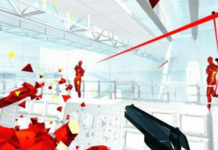 Oculus indicates that it will be launched with about fifty games, some of which will come from the Rift catalog. Sets, movies or music can be stored on its 64 GB of internal memory. 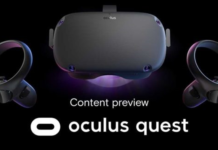 It had discussed with several sources that the new Oculus headset would arrive in 2019. 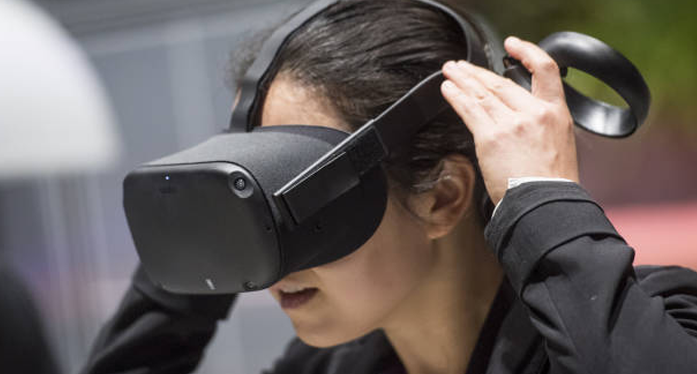 As a reminder, the company unveiled the Santa Cruz project during its conference Oculus Connect 3 in 2017, but she has not provided any new information since. 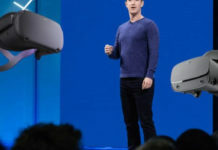 At the time, Facebook, owner of Oculus, had evoked a virtual reality headset capable of operating entirely autonomously. Therefore, the device would not need cables, or a computer or mobile to work. Since then, some vague tweets have shown that the company was still working on the project, but without revealing concrete information on the evolution of the Oculus Santa Cruz. The new information thus indicates a helmet that is autonomous, and that possesses some skills similar to those of the Rift. 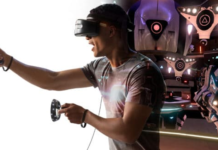 In the same way, cameras could be integrated directly into the headset, which would no longer need to rely on external sensors as was the case so far. Rather high-end, the Santa Cruz project could use many Rift applications, a point already mentioned by the director of content of Oculus Jason Rubin. Given its capabilities, it can be assumed that the helmet will be quite expensive, although no indication of its price has been made public. The Oculus Connect 5 conference was held in California on September 26-27, 2018, more detail was provided on the Oculus Santa Cruz project. It only remains to be noticed whether the firm will confirm that its next helmet will be launched in the first quarter of the coming year. A new generation of AR HoloLens headset? HoloLens, you probably know it, is Microsoft’s augmented reality (AR) headset. For a long time, this little gem of technology was reserved for a handful of developers who had to mount a serious, substantial and convincing file to be able to acquire it and to use it for only professional purposes. Since early November 2016, this AR helmet is available for sale for all on the Microsoft platform. 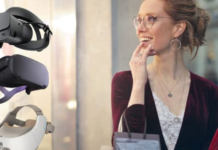 Microsoft’s desire, by making its headset available, was to invite developers, engineers, and businesses to create content. However, a barrier exists for the general public: the price, which is around 3 300 euros. Today, it seems that the giant Bill Gates board a new generation, which would fill these defects and that would come out in 2019. A HoloLens generation was more accomplished and more intended for the general public. It would therefore still be necessary to wait two years so that the general public also has the right to be able to have fun with what the developers of Microsoft produce better in term of augmented reality. Almost three years after the first development of HoloLens helmets so. We also imagine that the product will first be marketed on the North American market (the United States and Canada) before arriving in the hexagon. How to market a helmet whose price would make it accessible to the general public? First, there should be a reduction in production costs and equipment used. We imagine a lighter helmet, with a cheaper and more powerful battery, intended for uses close to what the general public seeks: mainly games, entertainment, and a little work, limited to simple office tasks, however. There are already many VR headsets on the market, like the Oculus Rift, the HTC Vive or the Playstation VR. The HoloLens is however different from its competitors because it is there augmented reality: the insertion of virtual elements in a universe which is very real. A dimension that would appeal more to the general public, already a fan of augmented reality filters offered by the communication platforms that are Snapchat, Instagram and Facebook. Hey very cool site!! Man .. Beautiful .. Wonderful .. I’ll bookmark your website and take the feeds also? I’m satisfied to seek out so many useful info here in the submit, we’d like develop more techniques on this regard, thanks for sharing.